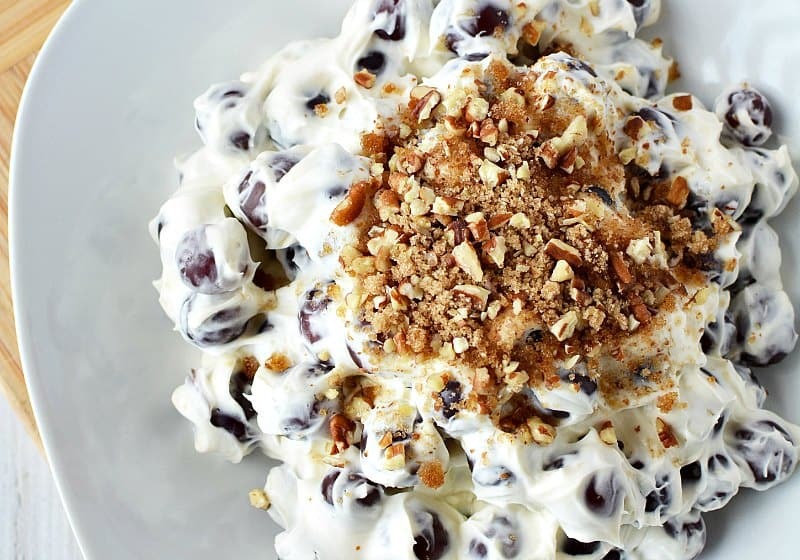 An easy red grape salad made with cream cheese, vanilla yogurt, and chopped pecans. My family loves grapes. We eat them frozen, in chicken salad, in lettuce salads and more. It only seems right to make a salad where the grape is the star. 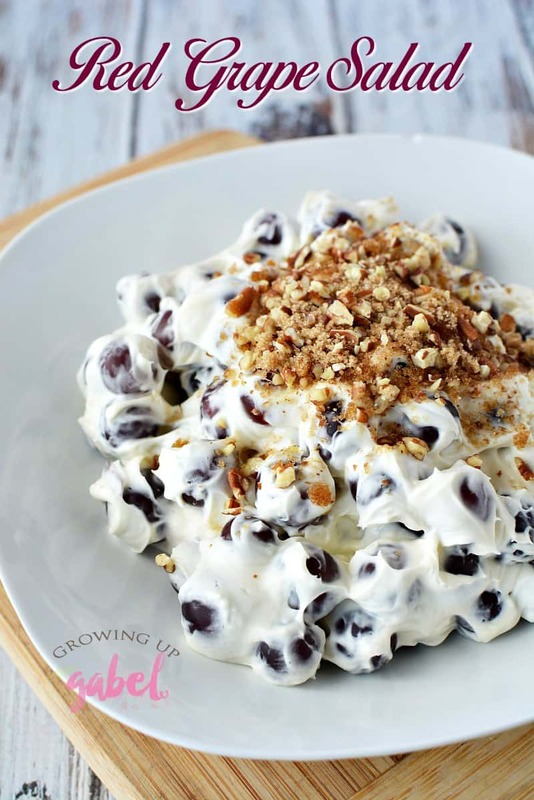 This grape salad is made with red grapes but you can use any grape you prefer. 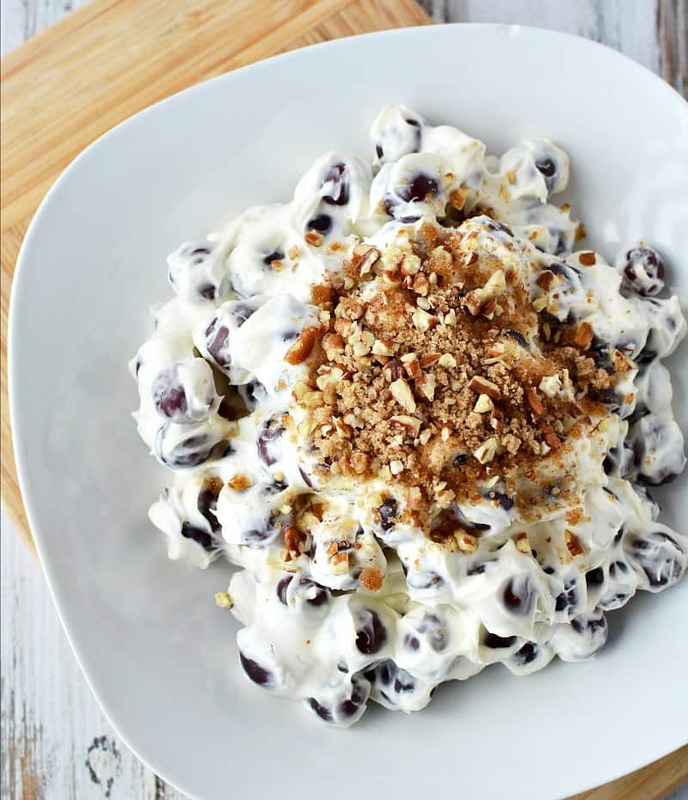 Serve this a side dish, dessert, an after school snack or send it in school lunches. 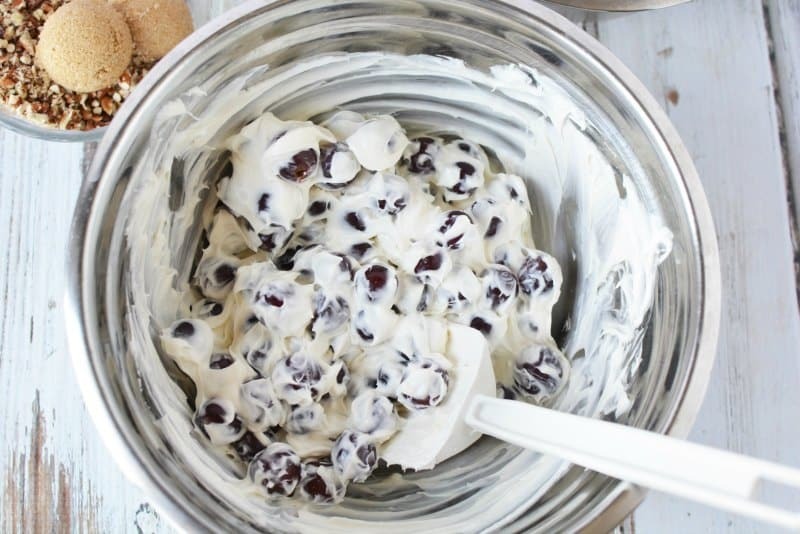 Start by mixing together the cream cheese, sugar, yogurt and vanilla to a mixing bowl. 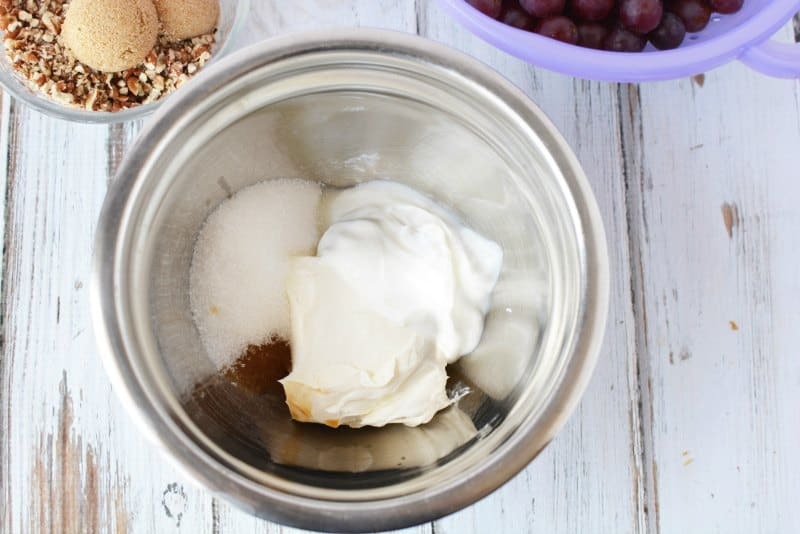 Use a wooden spoon or a spatula and hand beat until the mixture is smooth and creamy. This may take a little elbow grease if the cream cheese isn't soft. 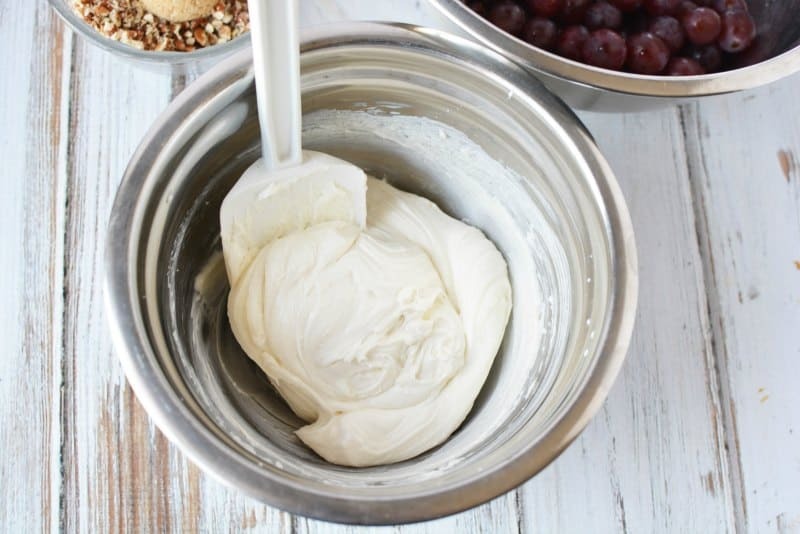 Once the cream cheese mixture is combined, carefully fold in grapes. Keep stirring until the grapes are well coated in the mixture. Set the grape mixture aside. 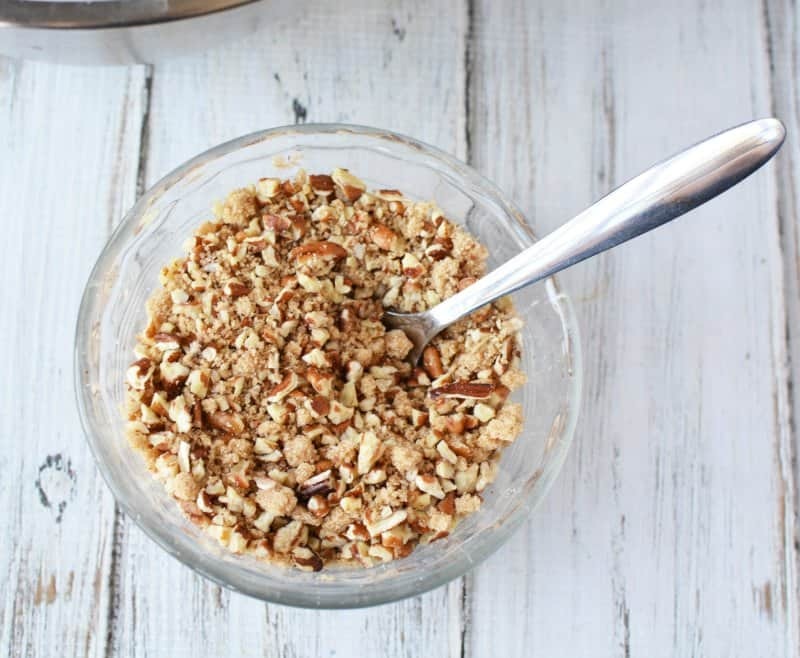 In a small bowl, mix the pecans with brown sugar. You can use a spoon or fork for this. 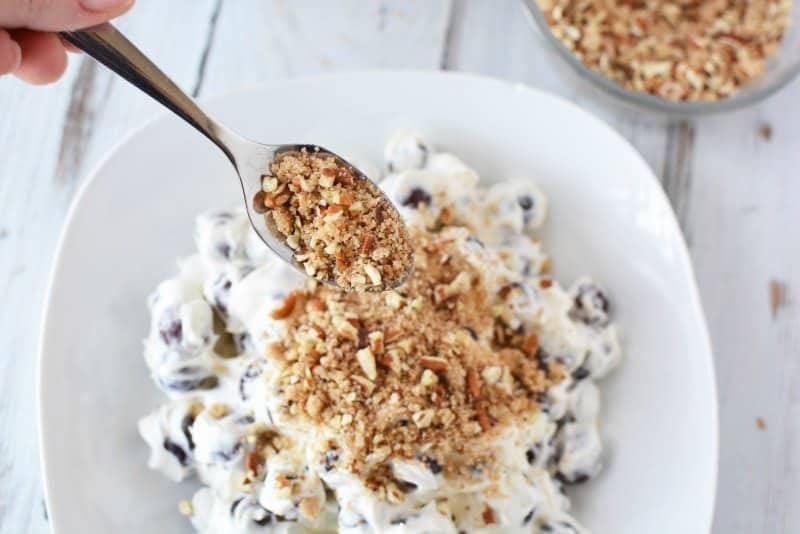 Use a spoon and sprinkle the pecan and brown sugar mix on top of the grape salad. That's it! It's ready to eat. You can refrigerate overnight or serve immediately. If you refrigerate overnight, the brown sugar dissolves and makes it delicious.